Created in the 30s by the American Drive-in (or Cinema Park in French) is at its peak in the 50s relive the atmosphere of the drive-in with current technical as possible. .... There is an hour that your car is parked prominently in front of the giant screen. You did not came in first only to have a good place, but also to take good time to walk on the first two rows of cars reserved on this drive-in to a vintage car club. Then you invite your girlfriend to eat and drink at the bar while listening to a great duo of musicians living on a small stage. At nightfall the speakers invite the audience to adjust their car radio to the right frequency for the soundtrack of the film, some information is repeated ... avoid turning the ceiling during the session does not start .. ... operate the warning lights of your car a few seconds in case of problems or simply to get the ambulant Service: popcorn, candies, refreshments can be served during the session in confidence. 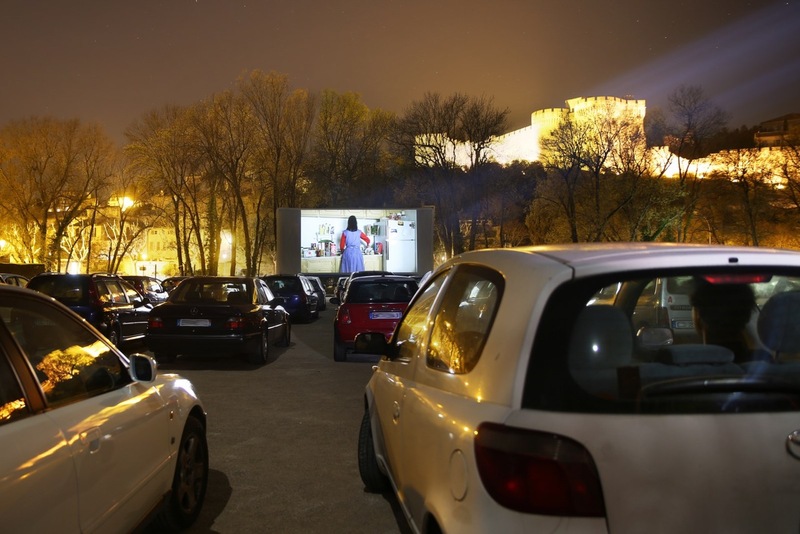 City councils, associations, companies ... imagine your Cinema Drive-in, we are at your disposition for any information.